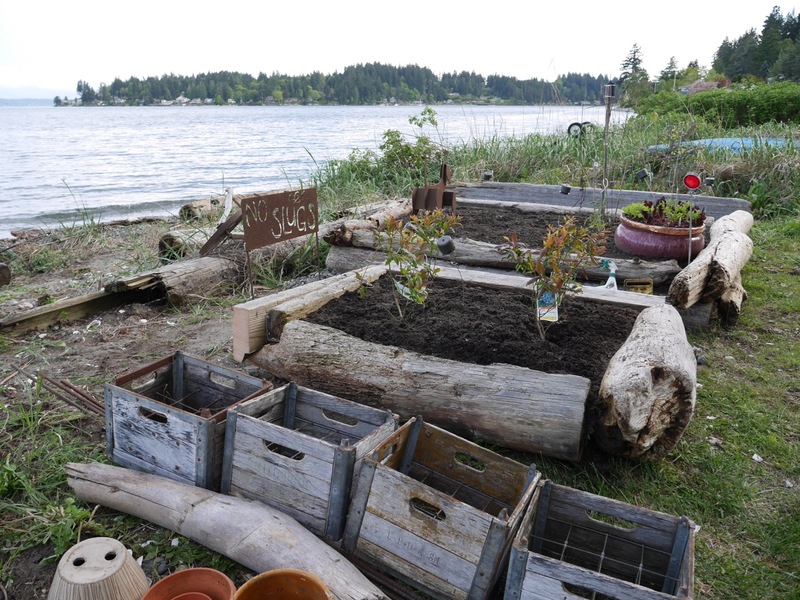 We built this garden yesterday out of things we found on our beach, and planted it with blueberries. We made it in honor of Fisher, our beautiful yellow lab, who died on Friday. He was 13+ and lived a long and happy life. He was that dog you look back on with love and pride, knowing he was one of a kind–smart, loyal, perfectly behaved. He was a class act to the end, never sick a day in his life. He spent a beautiful day in the sunny garden, following me around and lazing in the grass. Around dinnertime, he went into respiratory distress and we rushed him to the vet. It was over in about a half hour. We will never laugh the same again.